Every successful company has something that sets their product or service apart from the competition; that special bit of magic which inspires people to do business with them and be comfortable. At Decibels Audiology and Hearing Aid Center, we believe that our award-winning practice is unique – and our customers agree. 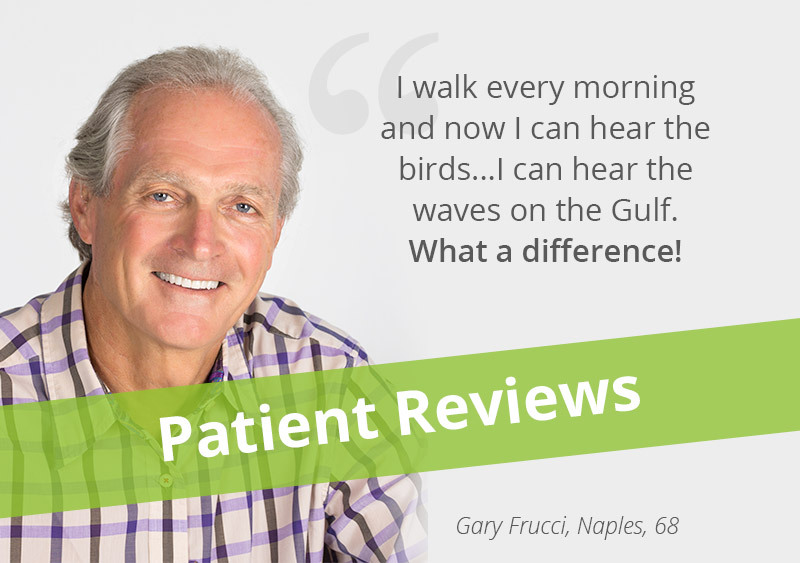 Let us show you why we’re the number one Audiology practice in Southwest Florida. Charles Revson, the founder of Revlon, always used to say he sold hope, not makeup. We couldn’t agree more! We sell better hearing, not hearing aids. From the first handshake, we’re there to guide you on the process to better hearing. We genuinely want you to be happy. We love our jobs. We’ve worked extremely hard to become the number one hearing center in Southwest Florida, and our office is full of fun, friendly people. We understand that people aren’t necessarily excited about getting a hearing aid, but they can be excited about getting one from us. Whenever possible, we try to use American hearing aid companies and American products. We are locally owned by our lead Audiologist, April Royan. Because of this, we can offer a variety of products from a variety of manufacturers. Our hearing devices start at $999 each and include complimentary service and batteries for the LIFE of the hearing device. During your initial interview, we can give you more specific information. We will proudly tell you that we are definitely NOT the cheapest place in town. We don’t sell “cheap” hearing aids because they don’t work. If you are looking for cheap hearing aids – this is not your place. When you purchase hearing devices at Decibels Audiology, the price includes so much more than just the device. We are a concierge practice, meaning that your office visits and your batteries are complimentary for the LIFE of your hearing device. 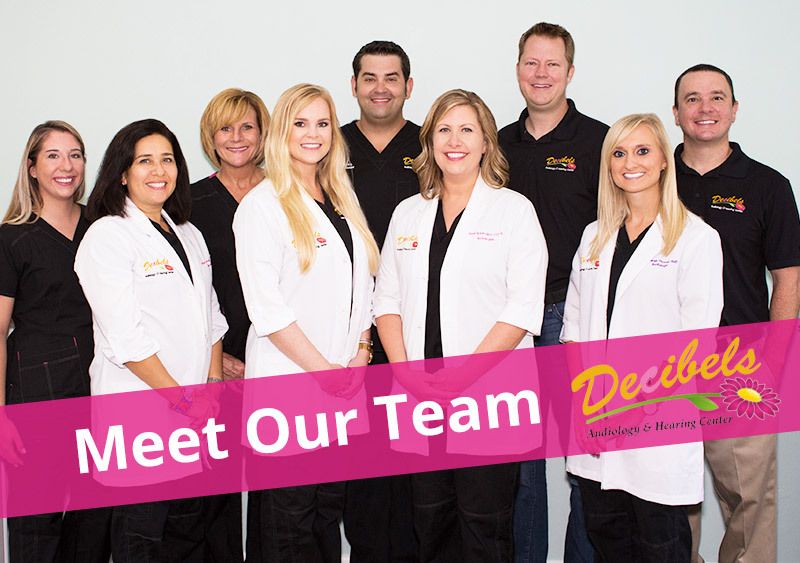 Our staff is truly exceptional because we believe that great hearing care starts with great Audiologists. Our Audiologists hold Master Degrees or Doctorate Degrees from accredited universities, and are experts in hearing and balance disorders. Oh, and they’re not just smart, they’re a lot of fun too!